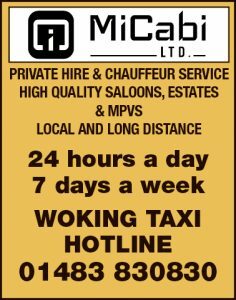 WOKING FC ended their 2016-17 season on high – after a convincing 4-0 win against Merstham in the final of the Surrey County Cup on Wednesday (4 May). After preserving their National League status away to Dagenham & Redbridge last Saturday (29 April), attention soon turned from survival to silverware. 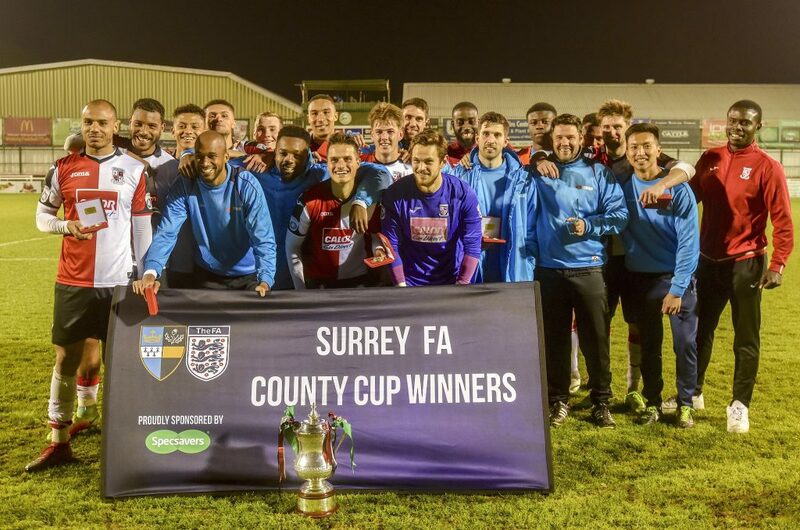 It was a record-breaking 29th appearance for The Cards in a Surrey Senior Cup final, so the stage was set to avenge their previous semi-final defeat against cup holders Merstham. The last time the two sides met, the Ryman League Premier Division side got the better of their National League opponents, 3-1, at The Laithwaite Community Stadium, which duly prompted the signing of former Moatsiders’ midfielder, Fabio Saraiva. 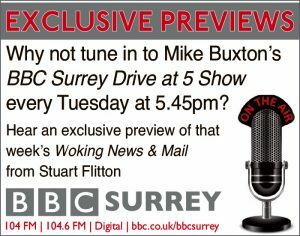 And Saraiva clearly had a part to play on Wednesday night’s demolition of Merstham, who offered little resistance to Woking’s goalscoring prowess. Boss Garry Hill made several changes to the side that draw against Dagenham at the weekend – opting for Brandon Hall in goal, but retaining the nucleus of the side that steered The Cards to safety in Essex. Having been drawn at home, four out of five rounds of this year’s competition – including the final – The Cards were inadvertently stacked against their lower league opponents. As it proved, the only similarity between the two sides was that they both finished their respective league campaigns on 53 points. After a goalless first half, Charlie Carter entered the frame. It was an inspired substitution from Hill, who watched his side turn up the heat during the second period. Joey Jones came close to give the home side the lead when his half-volley from inside the penalty box ricocheted off the crossbar. Delano Sam-Yorke then curled his effort wide of the upright after being well placed in the box. The moment of truth, however, finally came in the 62nd minute, when Gozie Ugwu controlled the ball brilliantly on the edge of the area to set up Carter, who thumped the ball home to give The Cards a deserved lead. Kane Ferdinand doubled the hosts’ tally 10 minutes later when his chested down Connor Hall’s cross-header to coolly chest the ball down and pick his spot from 10 yards. Hall, arguably, should have done better when his effort was tipped over from four yards. 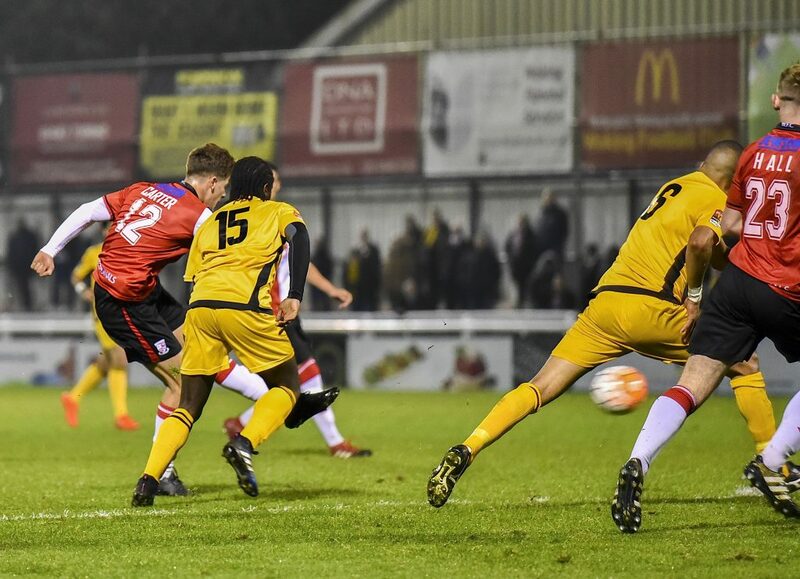 Although the young on-loan striker made amends when he took advantage of a superb through ball from Chike Kandi to sprint clear of his marker to notch Woking’s fourth goal six minutes from time. 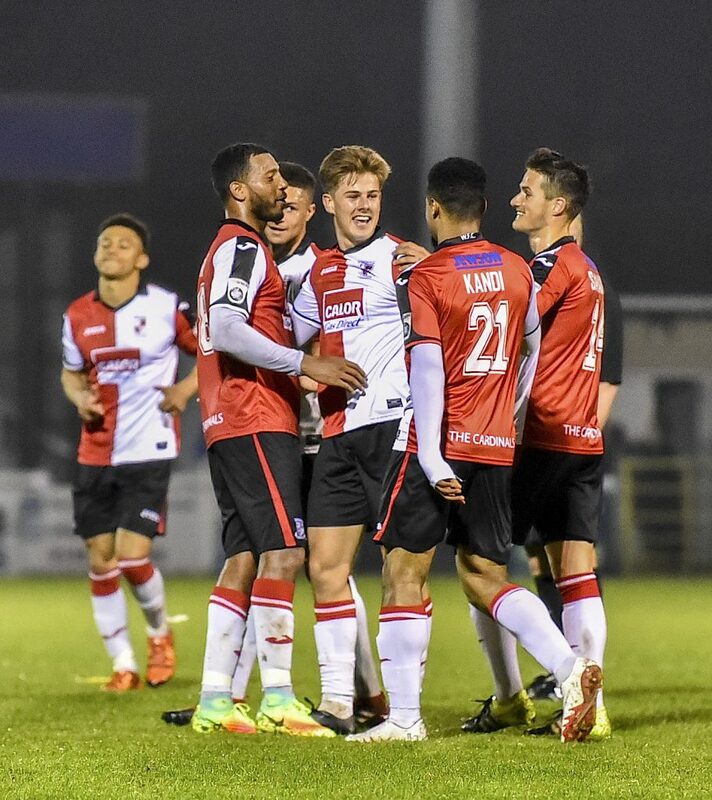 Woking’s success is this year’s Senior County Cup can best be described as ‘prolific’ after The Cards scored 16 goals in five games, with only three in reply. WOKING: B.Hall, Caprice, Saraiva, Thomas, Jones, Ralph, Murtagh, Ferdinand, Ugwu, Sam-Yorke, Kretzschmar. Subs: Poke, Carter, Kandi, C.Hall, Appau.